Come Saturday morning in Summerland, my Scotsman and I often like to treat ourselves to breakfast at a local café. We mostly split our excursions between eggs benny at Good Omens (The wild mushroom is my favourite, although last week’s salmon special was especially good. I recommend ordering something different than the person you’re with so you can share), and breakfast at the Country Café, also on Kelly Street, which is my husband’s favourite. 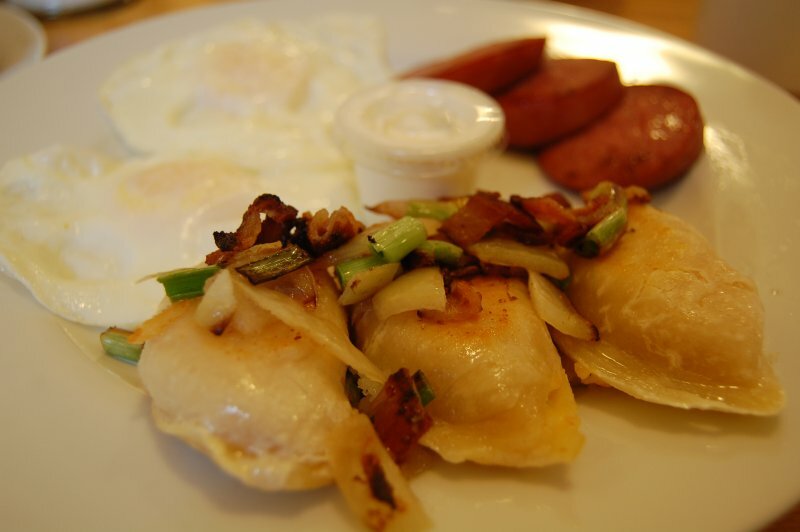 We used to order the 2-2-2 (locals will understand the lingo), but now we are die-hard fans of the Ukrainian breakfast, with their home made perogies and grilled kolbasa. On my list of things to do (date, anyone?) is the brunch at Local Lounge • Grille, for I have heard wonderful things. Anyone else have a favourite Summerland breakfast experience you can recommend as a treat?